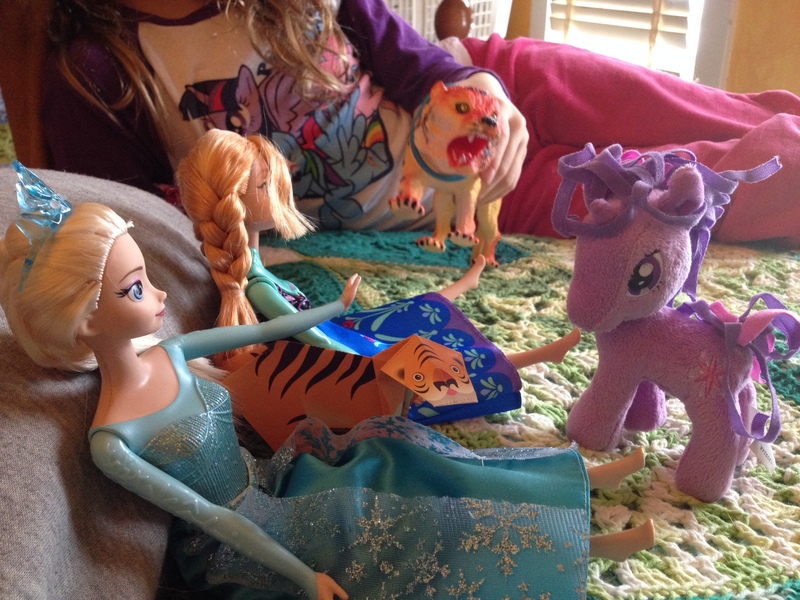 Today Elsa and Anna were visiting with Tigress, her cub Kote, and Twilight Sparkle, who is a magic unicorn and and was going to give Elsa and Anna wings so they could experience flying. E&A wanted to fly after watching a dragon and pterodactyl do tricks in the air while flying. No, I was not playing by myself. I was playing with my homeschooled kiddo, and she was having a blast. I wish I could read and blog several times a week, but I have other obligations, you see.